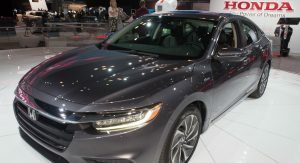 An all-new iteration of the Honda Insight is greeting visitors at the brand’s stand in New York. 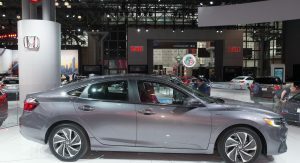 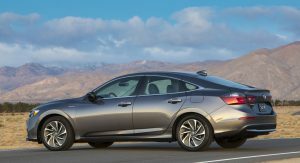 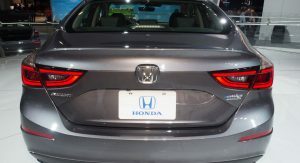 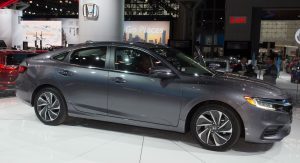 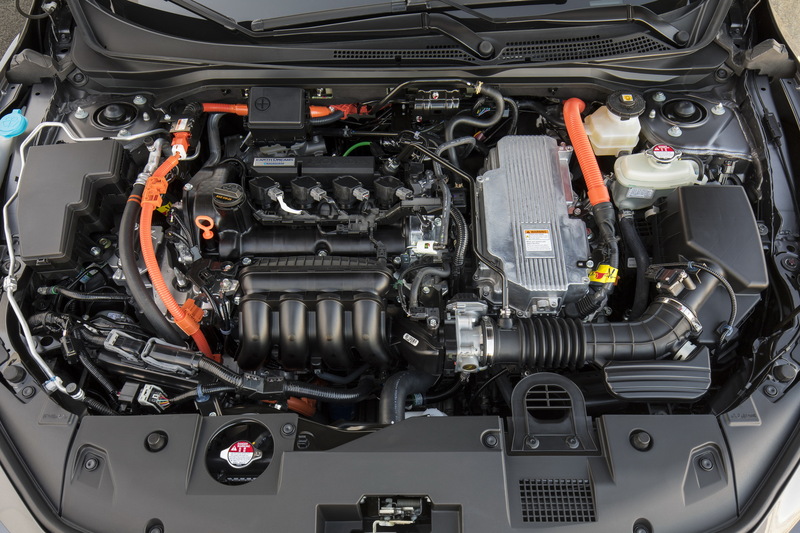 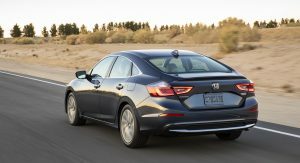 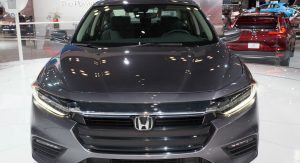 Previewed by a prototype that was shown in Detroit earlier this year, the production model of the Insight slots between the Civic and Accord, and uses a hybrid powertrain. 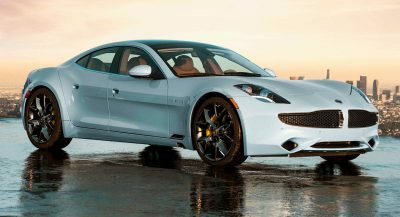 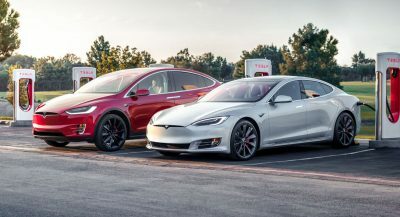 It combines a 1.5-liter gasoline engine with an electric motor, backed up by a lithium-ion battery pack. 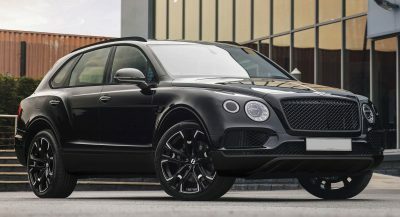 The total output pushed to the wheels is 151hp (153PS) and 197lb-ft (267Nm) of torque, and the car returns an estimated 55mpg (4.3 l/100 km / 66 UK mpg) in the city. 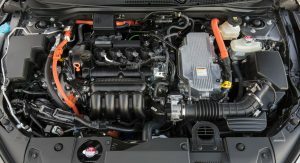 Can I drive it on pure electric power? 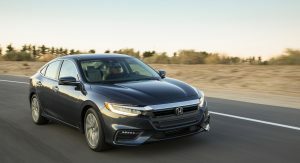 The 2019 Honda Insight is capable of running on electricity, but don’t expect to drive it to work without any CO2 emissions, unless it’s very close to your home, because the automaker estimates a measly 1 mile (1.6 km) of electric range. 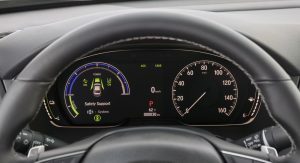 And that’s likely in the Econ driving mode, with users being able to choose Normal and Sport, too. 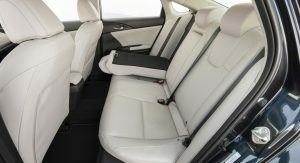 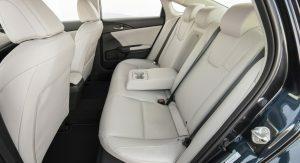 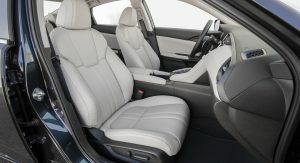 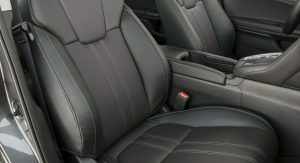 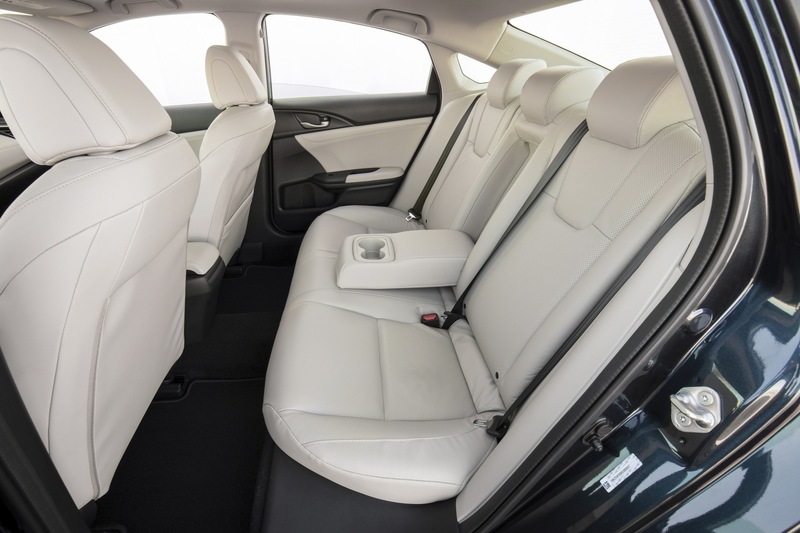 Thanks to the 106.3-inch (2,700mm) long wheelbase and seat positioning, the car is said to have “best in class” rear legroom. 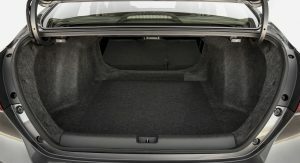 That’s not all, because its boot space stands at 15.1cu-ft (428lt), which is enough to take your luggage on those long journeys. 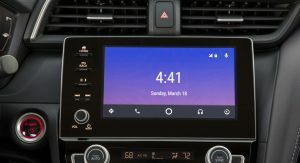 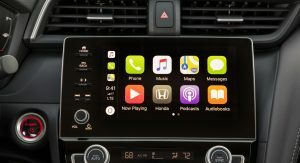 On higher end models, expect more premium materials such as leather and real stitching, 7-inch instrument cluster, 8-inch infotainment, smartphone connectivity and others. 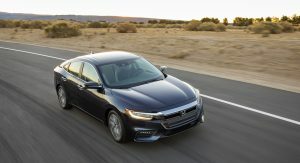 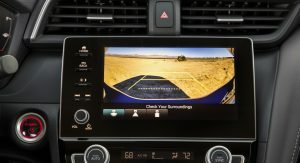 Future owners of the 2019 Honda Insight will get a suite of driving assistance technologies as standard on all versions. 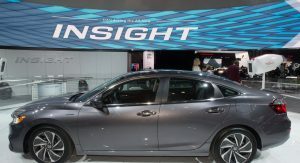 Honda will open the order books for the new Insight this summer with pricing to be announced. 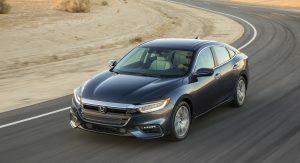 I think this new Insight looks better than the new Accord. 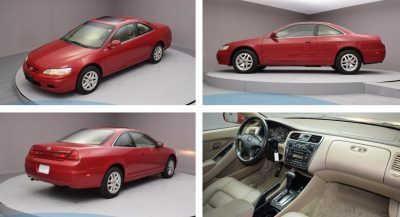 And every Honda or Acura on currently sale. 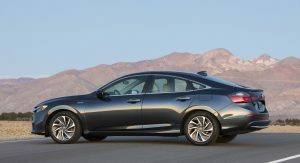 Why isn’t this the new Civic? 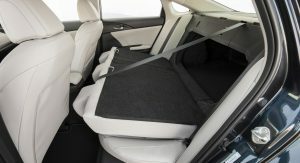 Not being a hatchback is a missed opportunity.